In the case of inability to repair, you will not pay anything. 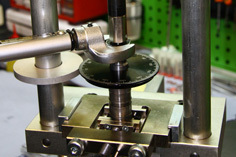 The cost of the service should be added to the cost of internal seals. 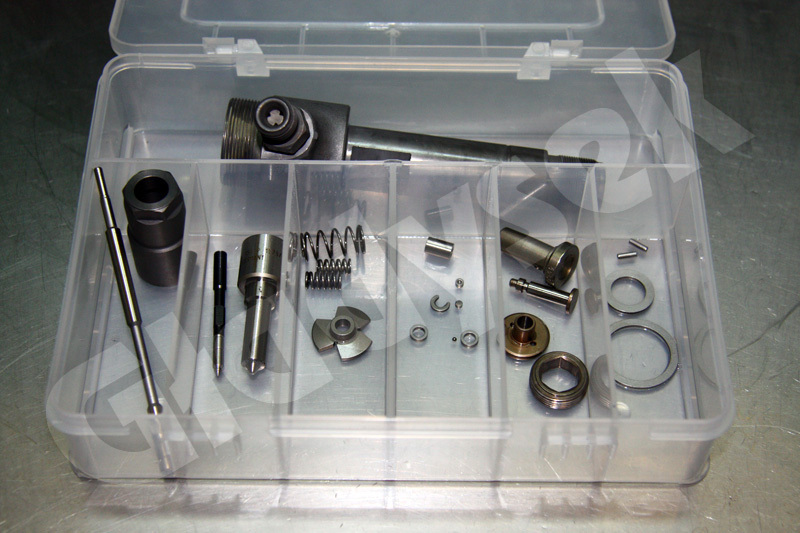 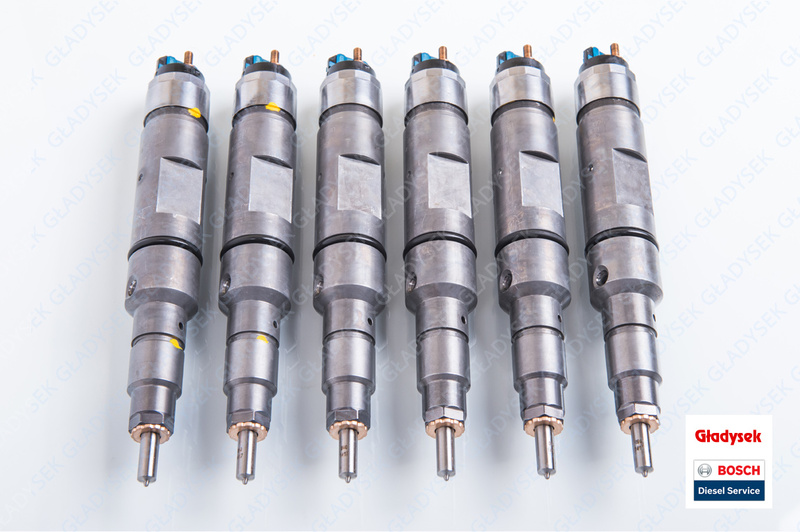 In case of damage to other parts that are necessary to restore the proper operation of the injector, eg injector nozzle with nut, valve, coil, piezo element etc., they can be replaced with new, genuine parts. 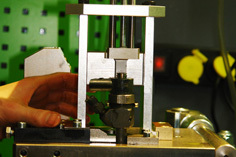 The cost of parts is agreed with the customer each time. 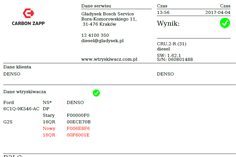 Their exchange takes place at no additional charge. 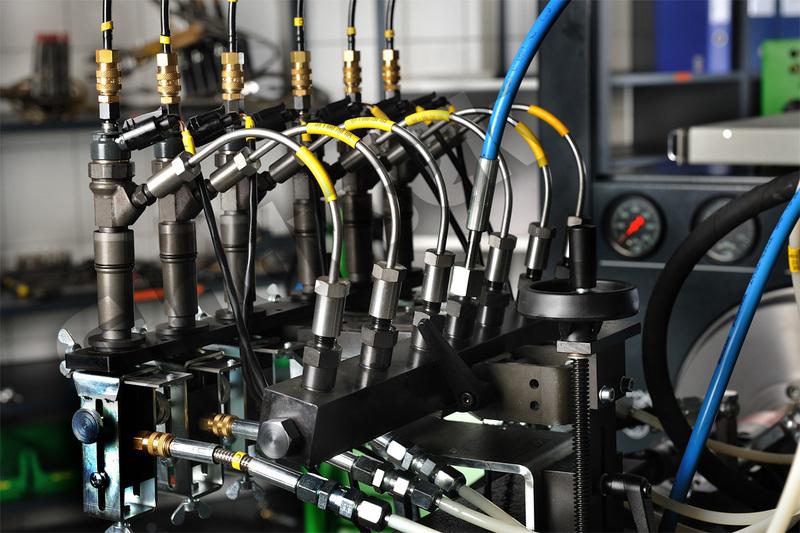 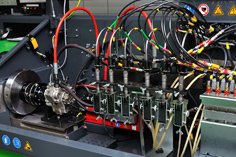 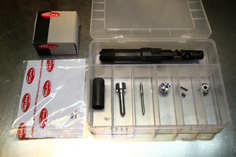 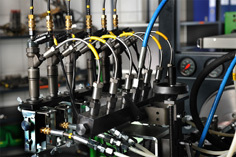 Take a look at all the advantages of injector repair in our company. 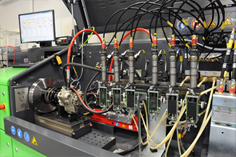 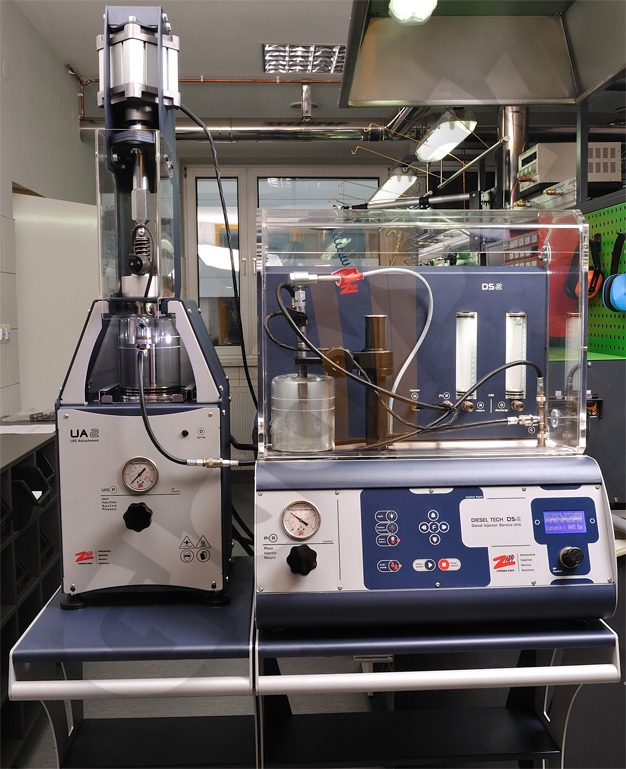 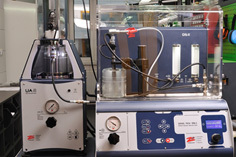 Take a virtual tour of our diesel lab. 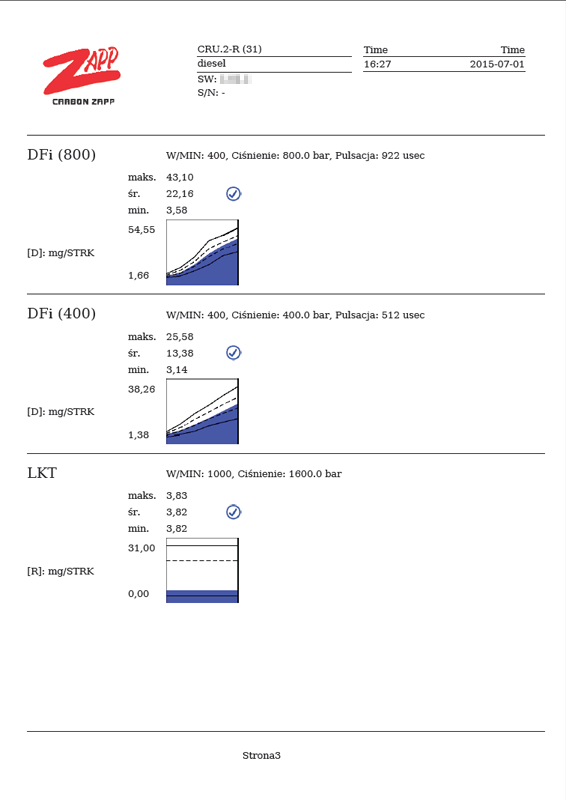 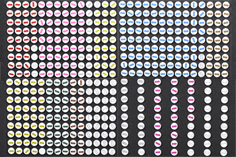 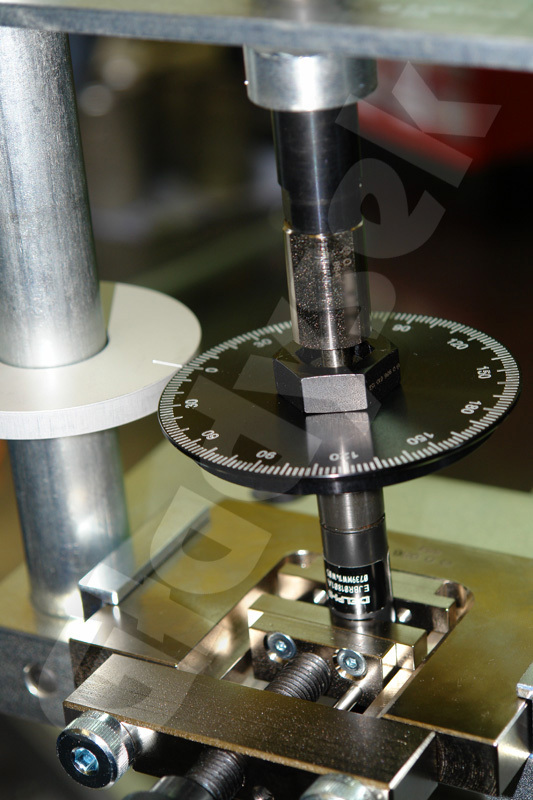 After each test, we provide a protocol with detailed results. 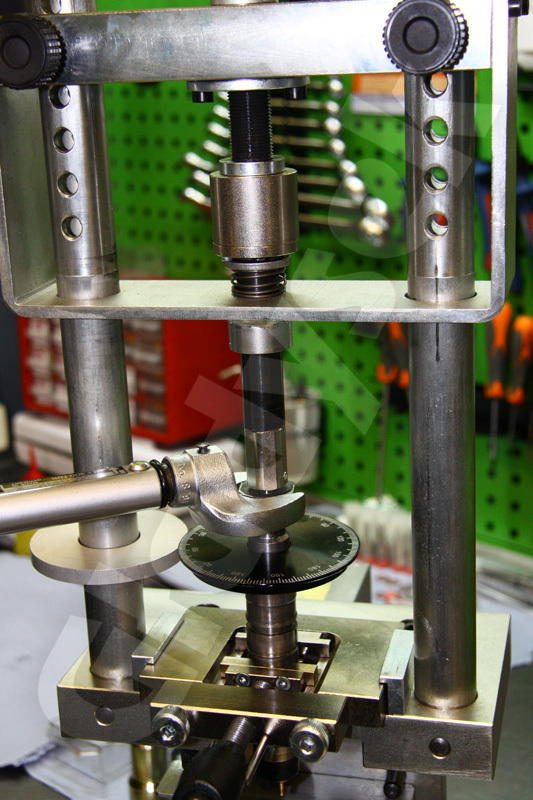 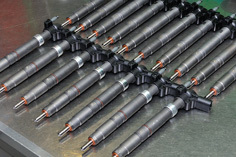 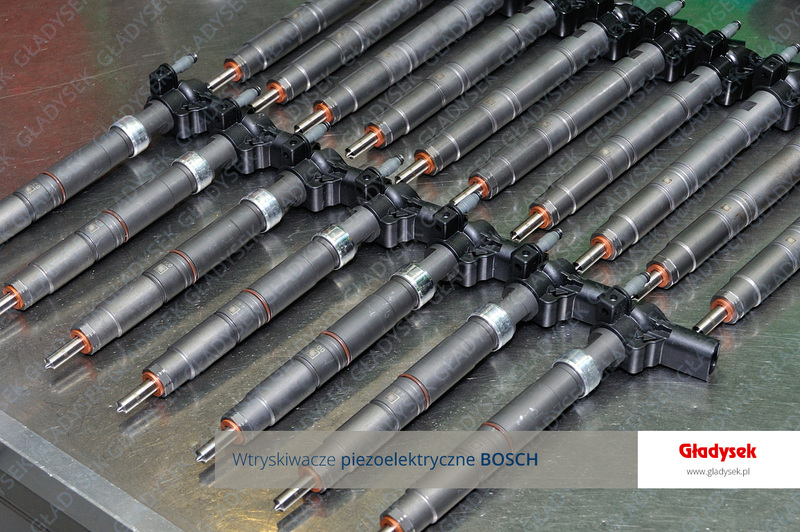 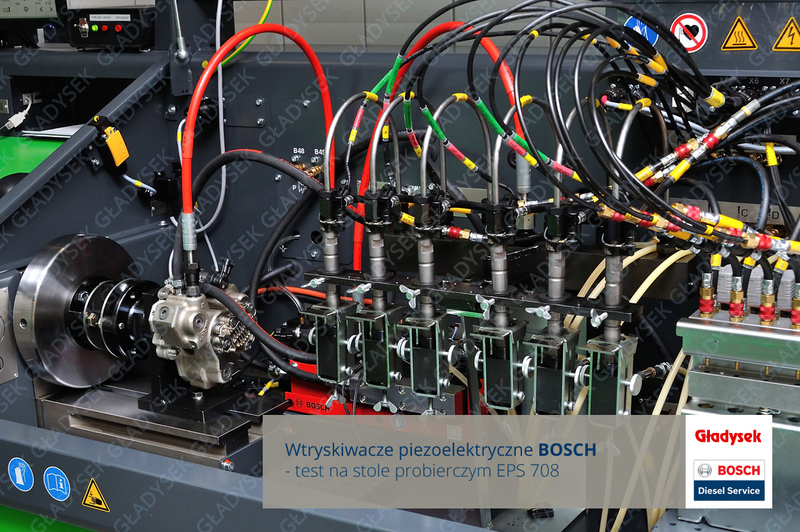 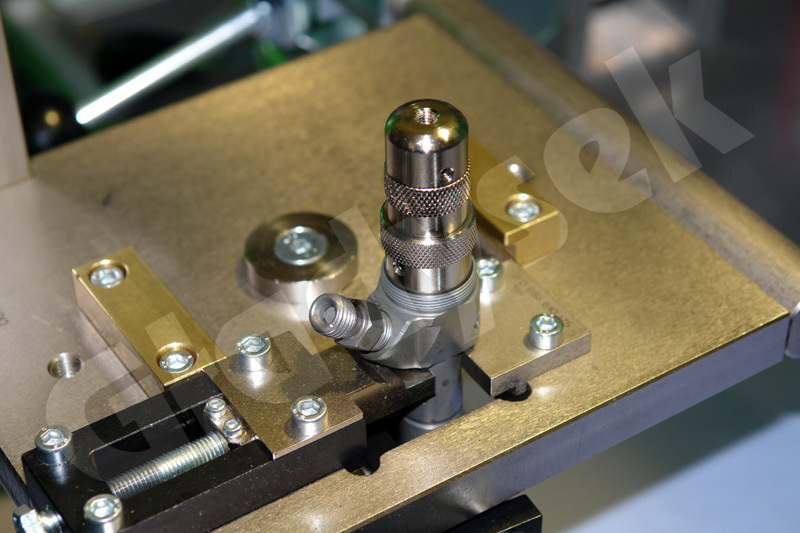 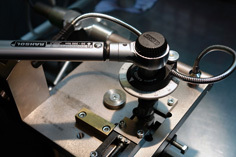 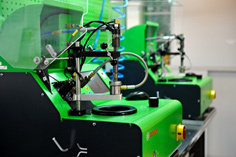 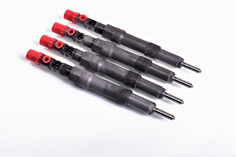 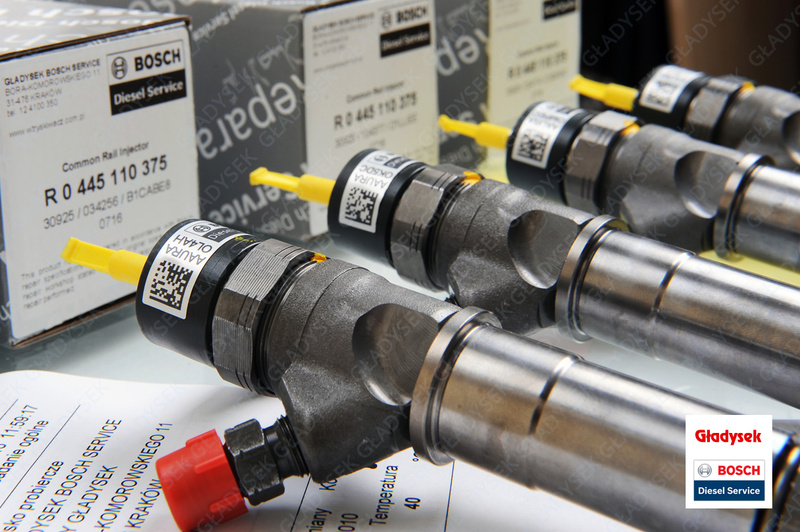 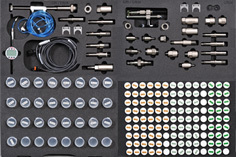 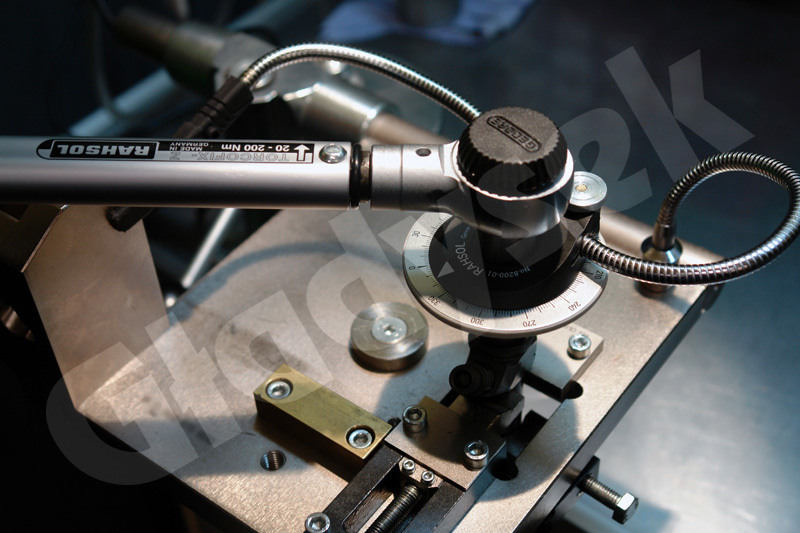 The cleaning and testing service is dedicated to Common Rail Bosch, Siemens / VDO / Continental and Denso piezo injectors. 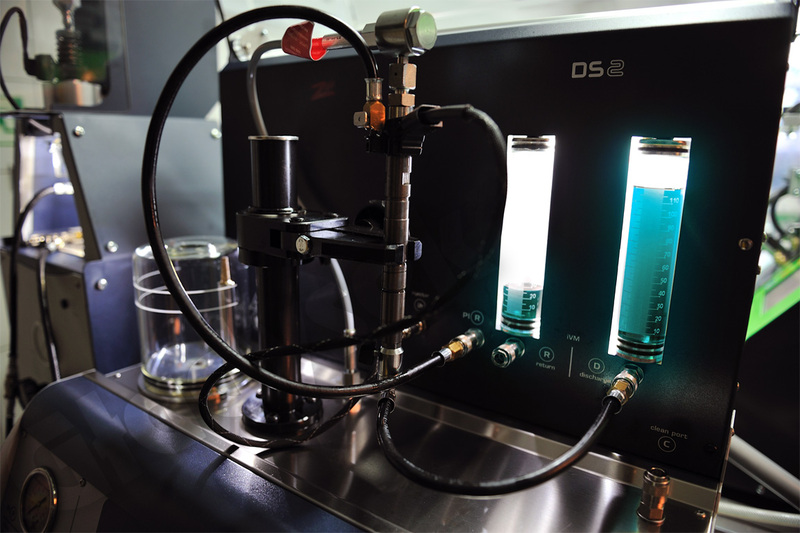 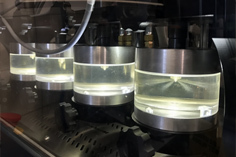 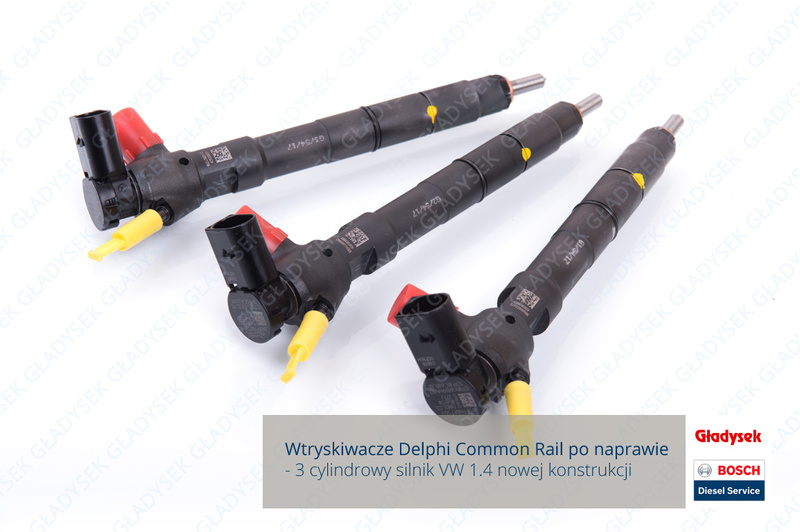 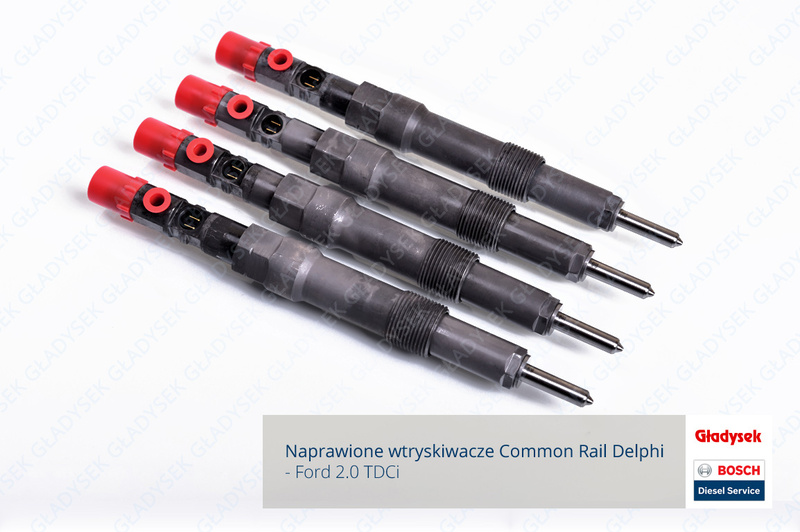 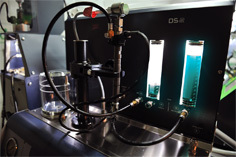 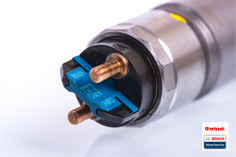 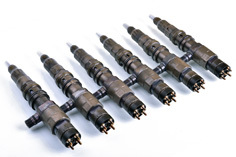 Other injectors, such as electromagnetic Bosch, Delphi, are better to verify and repair, which includes cleaning, as well as testing or perform an initial test at a promotional price - see below. 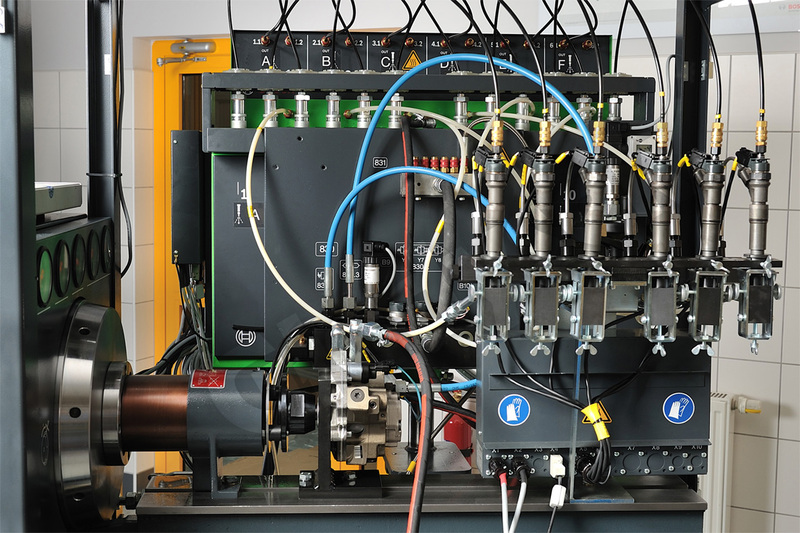 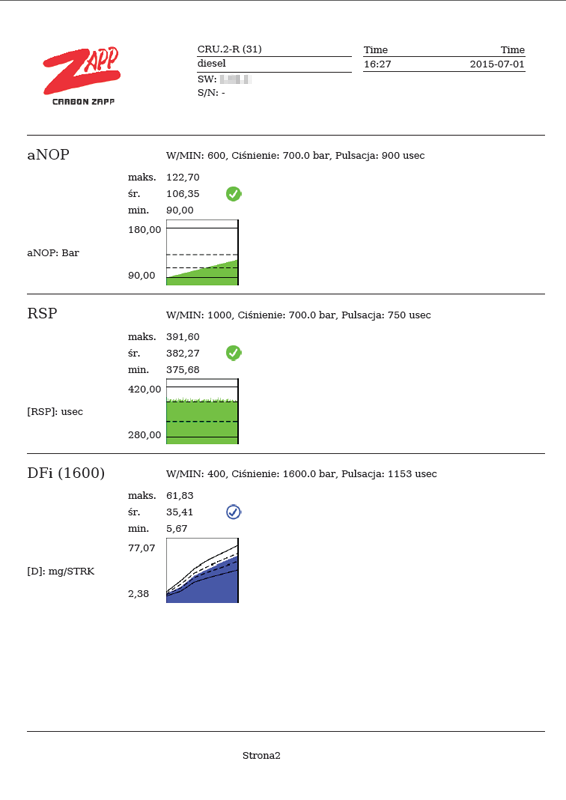 In January 2014, we introduced a new service that included the selection of damaged injectors, so those that had a negative assessment of their efficiency during the control test. 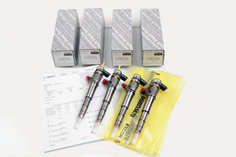 The service is dedicated to customers who care about the information which injectors are damaged. 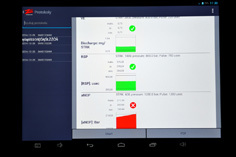 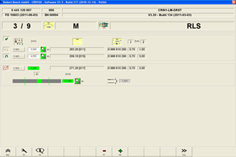 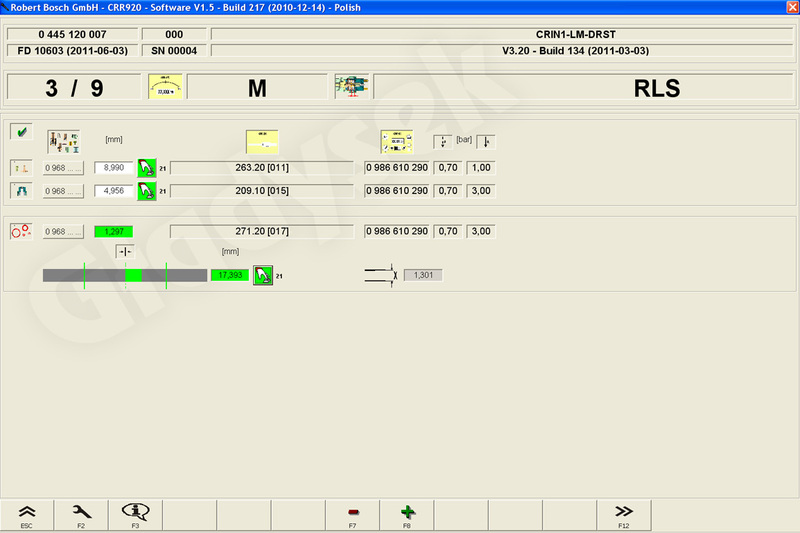 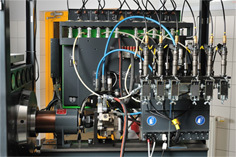 The control test is not, however, a sufficient tool to provide an opinion on the full efficiency of the injector. 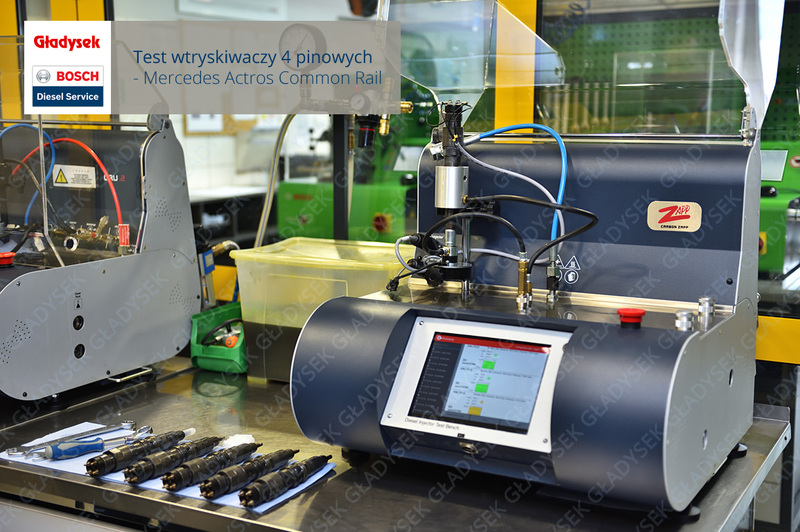 The initial test is accompanied by a protocol with the serial numbers of the individual injectors and the evaluation of each. In the case of a negative assessment we will inform you if there is a possibility of repairing the injector. 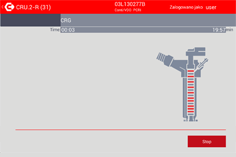 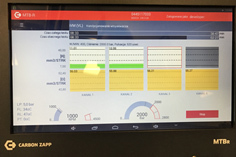 In order to give a clear, positive opinion about the technical condition of the injector, a comprehensive diagnostic test and possible mechanical adjustments should be carried out. 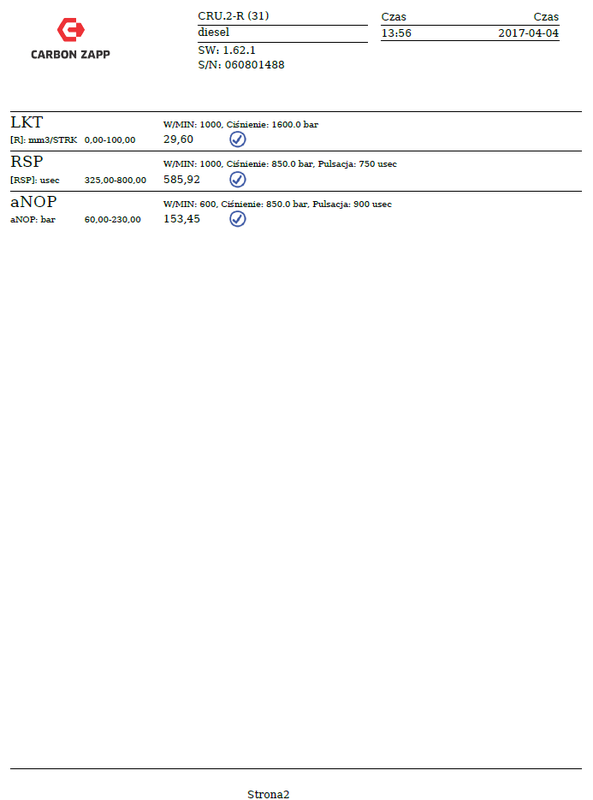 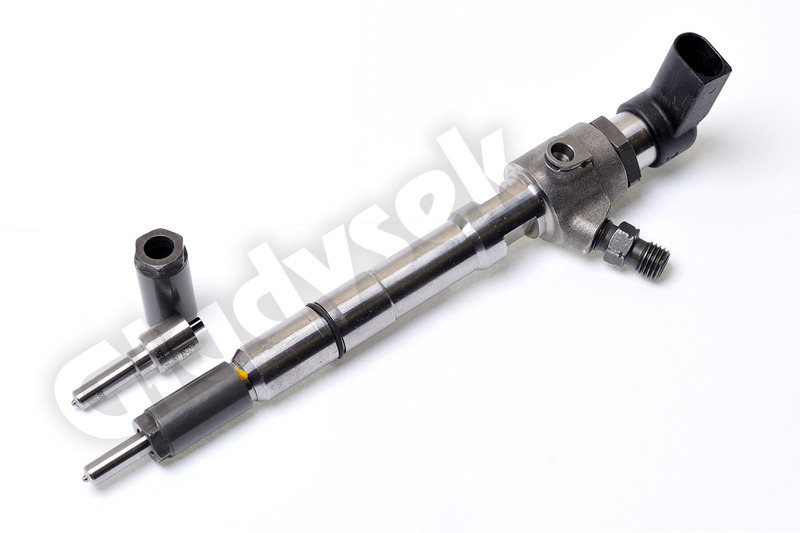 To do this, we dismantle the injector on the first part and verify it - see the top of this page. 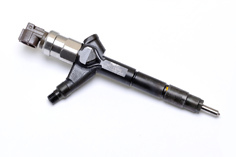 Installing the injector into the engine without finding its full condition can damage the vehicle's engine. 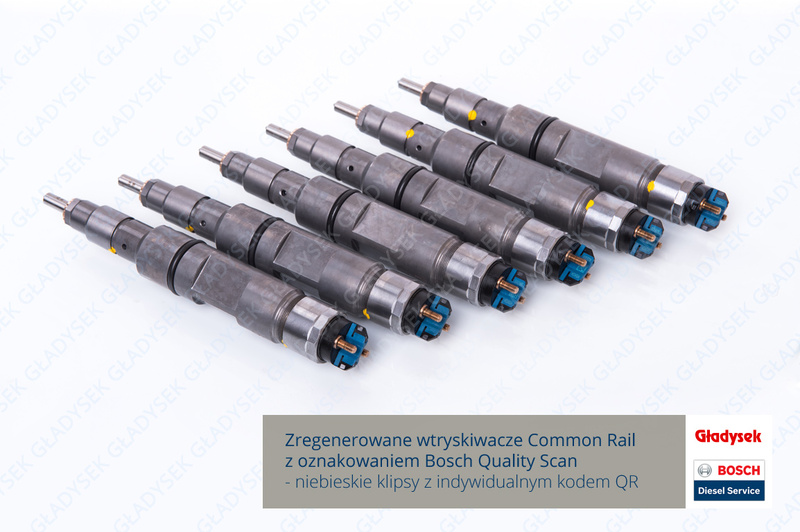 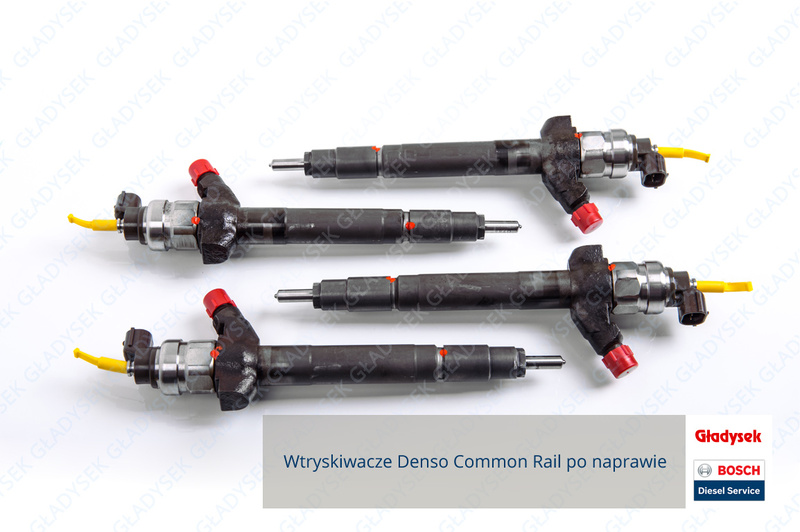 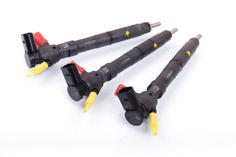 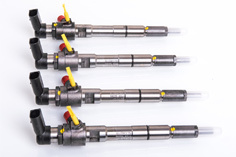 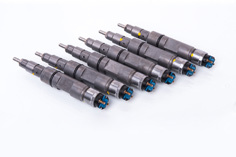 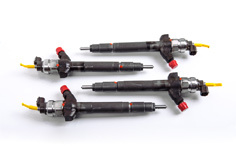 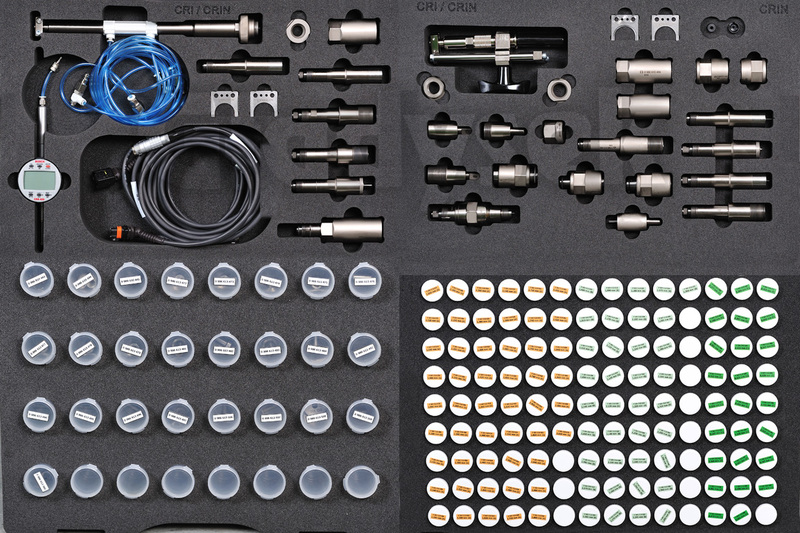 Other types of Common Rail injectors, unit injectors and mechanical injectors are cleaned, tested, or verified and repaired in accordance with the applicable Gladysek technology and are not subject to an initial test. 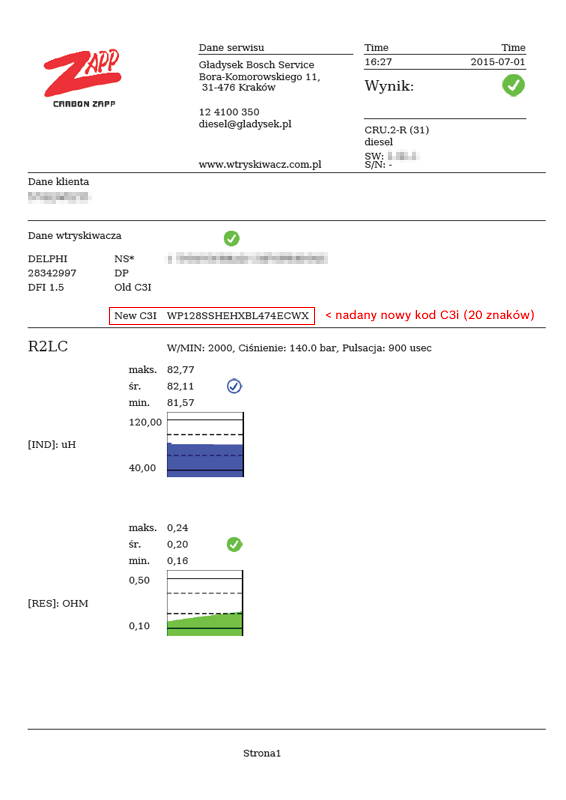 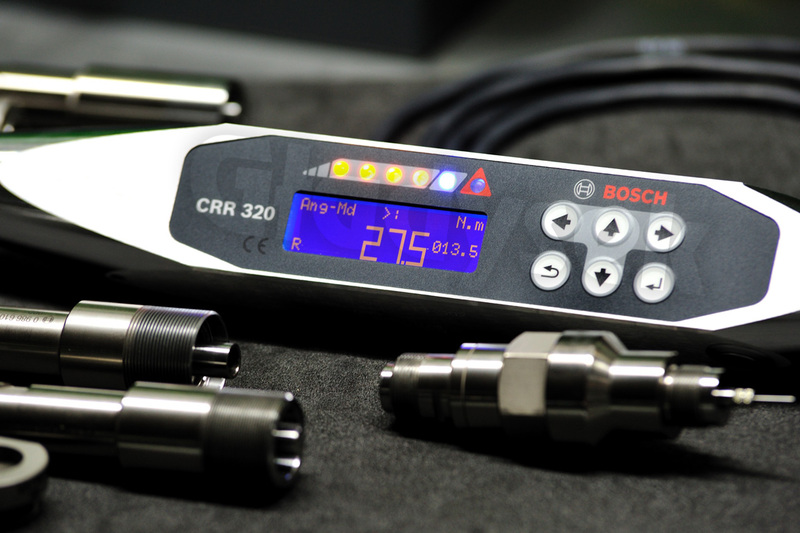 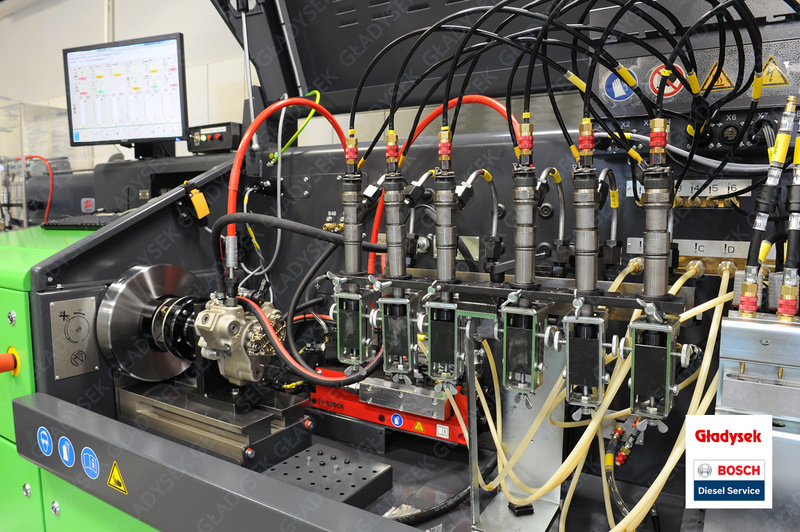 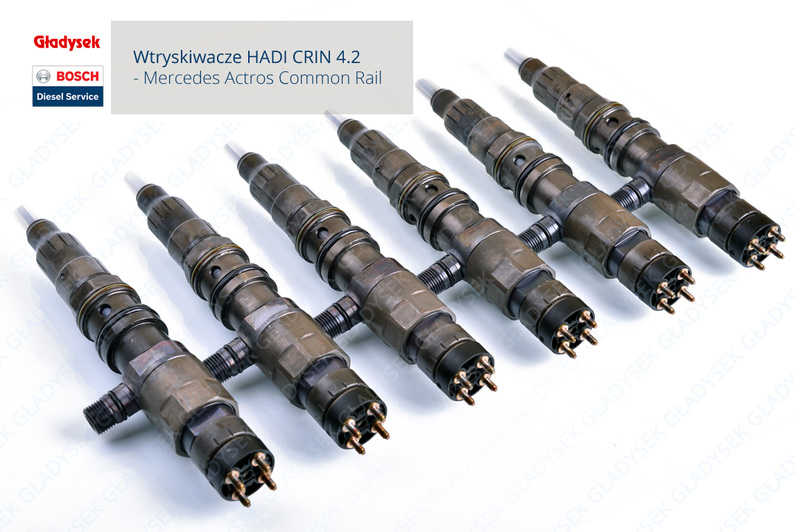 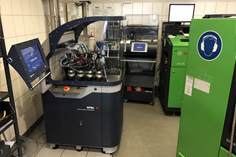 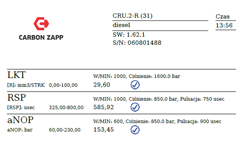 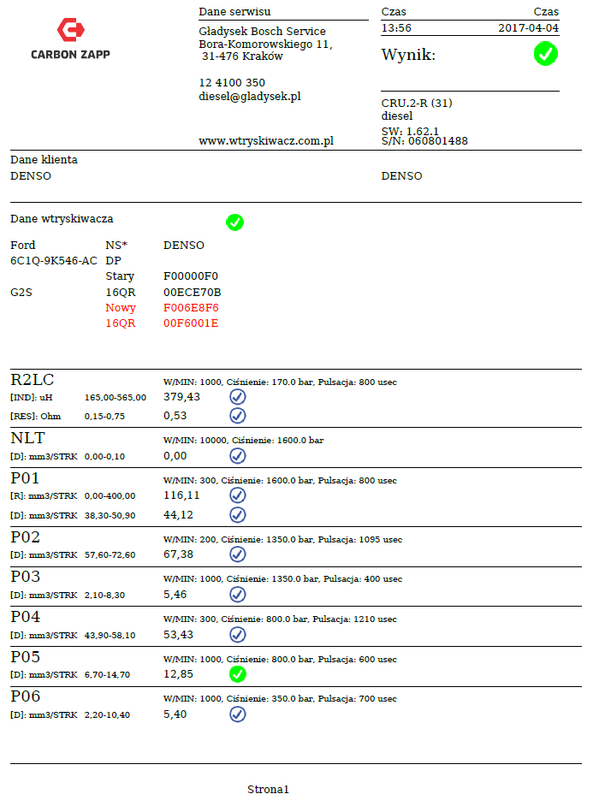 We do complex tests of the latest generation CRIN 4.2 injectors from Mercedes Benz truck with Common Rail Bosch system. 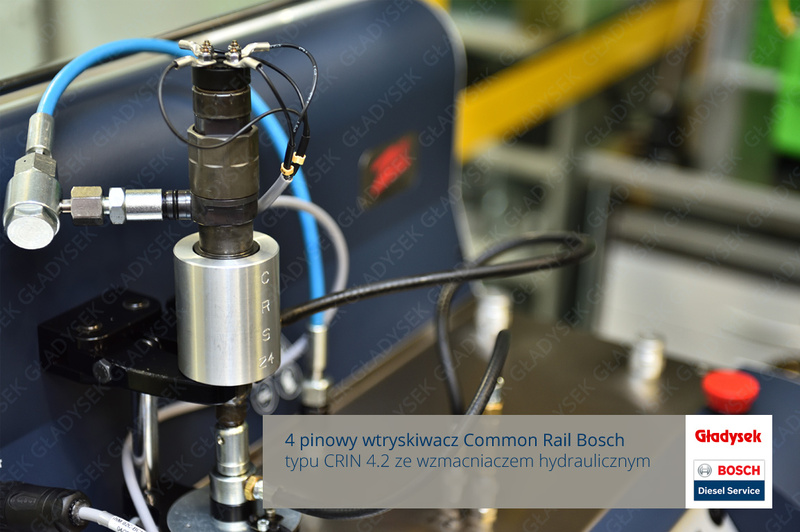 The system uses 4-pin injectors with hydraulic amplifier so-called. 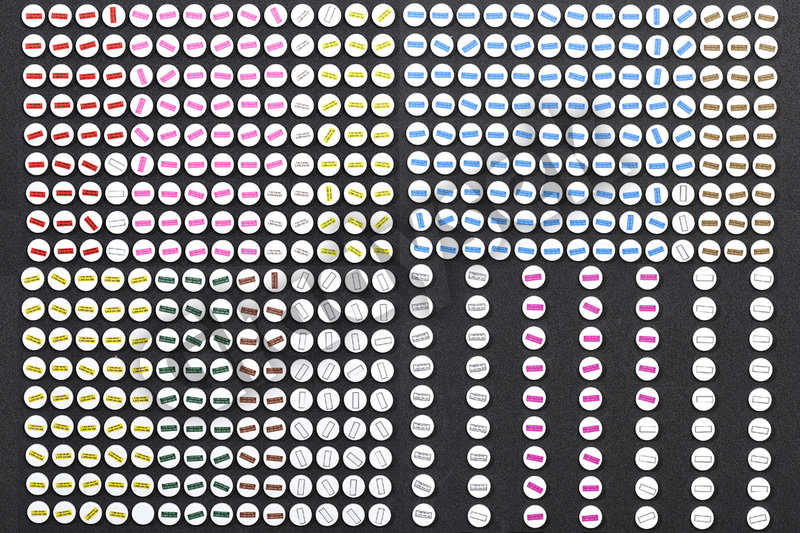 HADI. 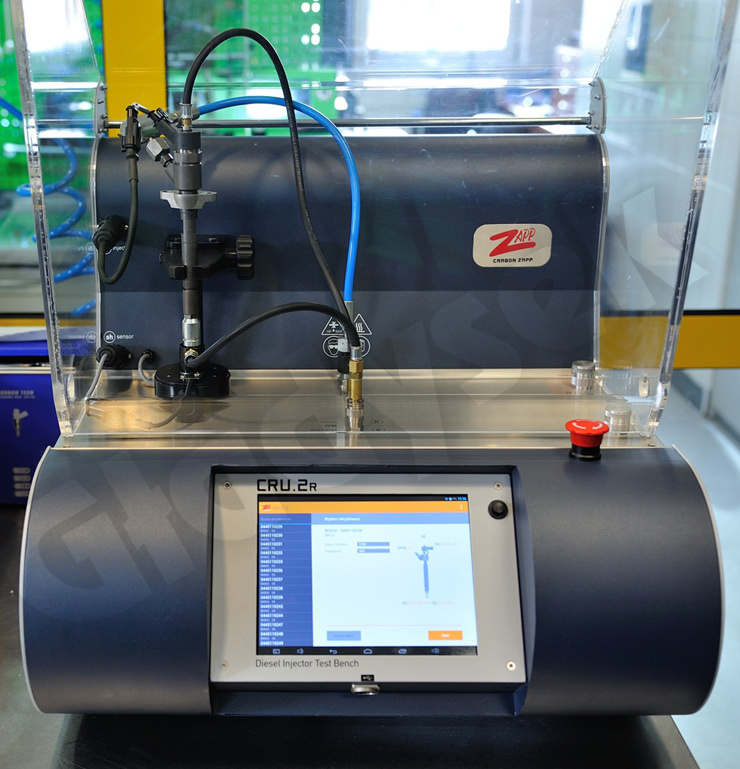 The CPN5 high pressure pump produces a maximum pressure of only up to 900 or 1200 bar depending on the design. 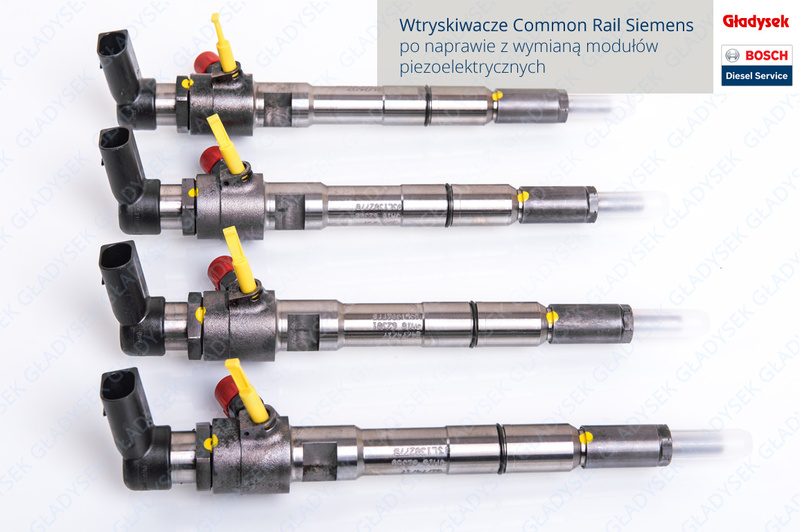 At low loads, only one coil is operated and the injector operates in much the same way as a conventional common rail injector. 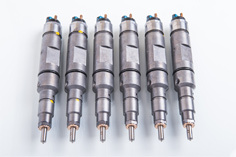 When a higher injection pressure is required under load, a second coil is also driven and pressure is increased in the injector itself with a hydraulic booster up to a pressure of 2700 bar. 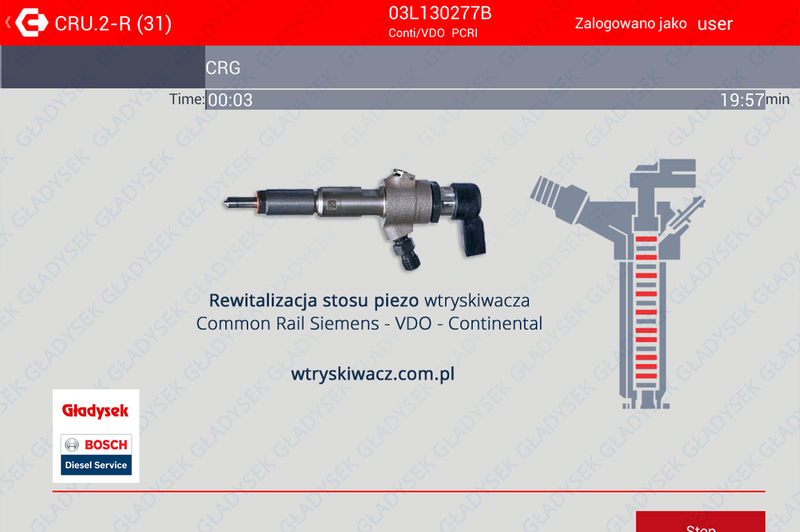 This system is applicable in models such as Actros, Antos, Arocs and has been installed on a wide scale since 2013, and single models two years earlier. 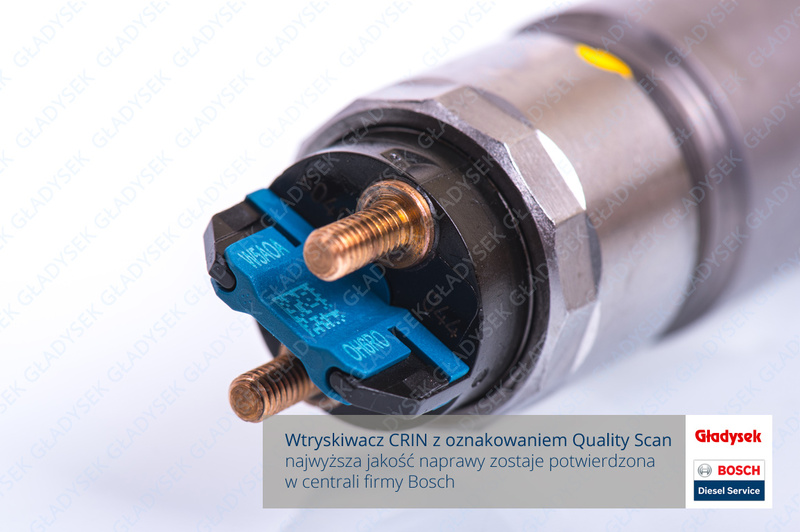 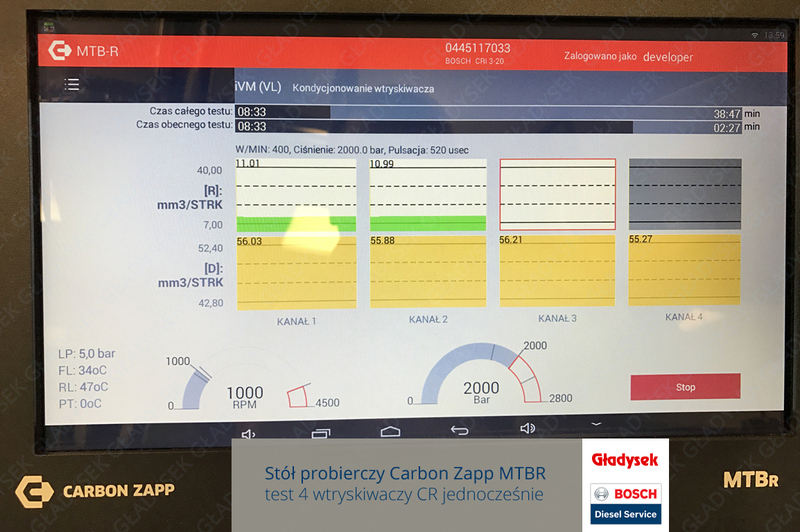 Due to the fact that some vehicles with this system are no longer on the warranty period of the vehicle manufacturer, we have implemented CRIN 4.2 injector cleaning and testing procedures. 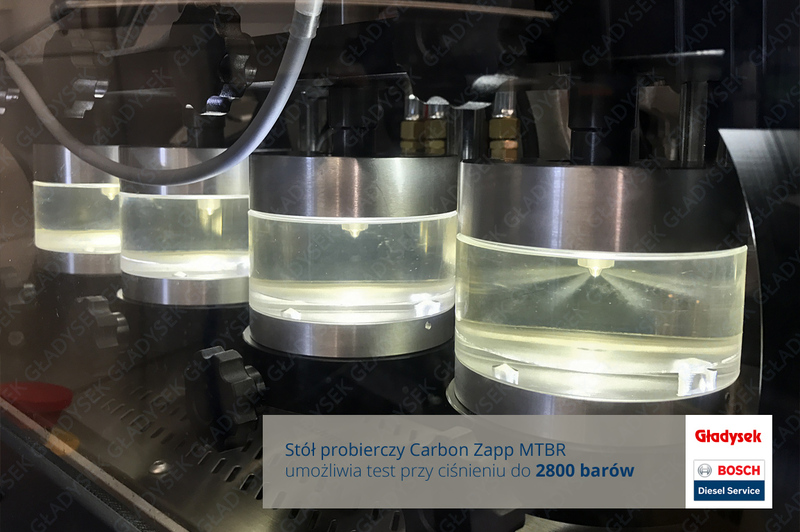 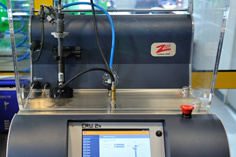 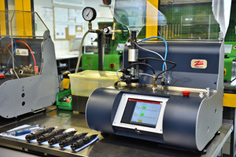 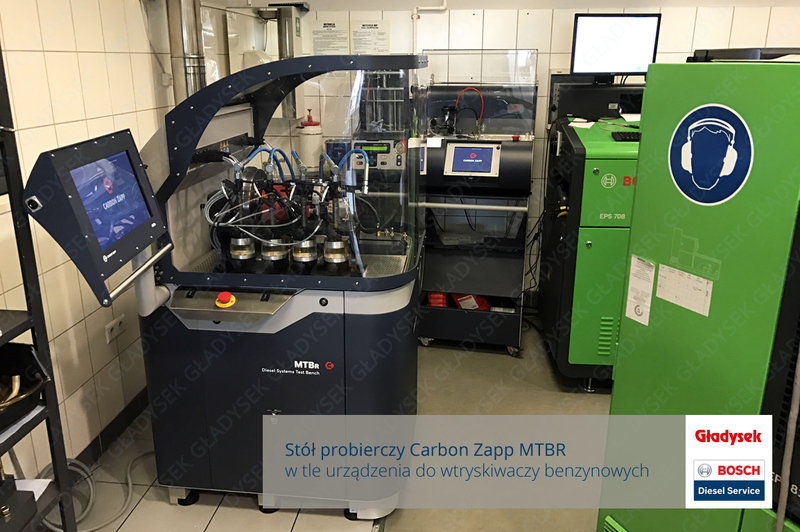 Injectors of this type are tested at the Carbon Zapp CRU2R test bench with appropriate adapters. 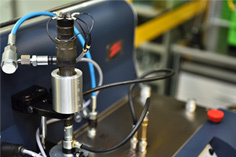 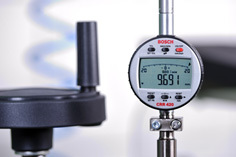 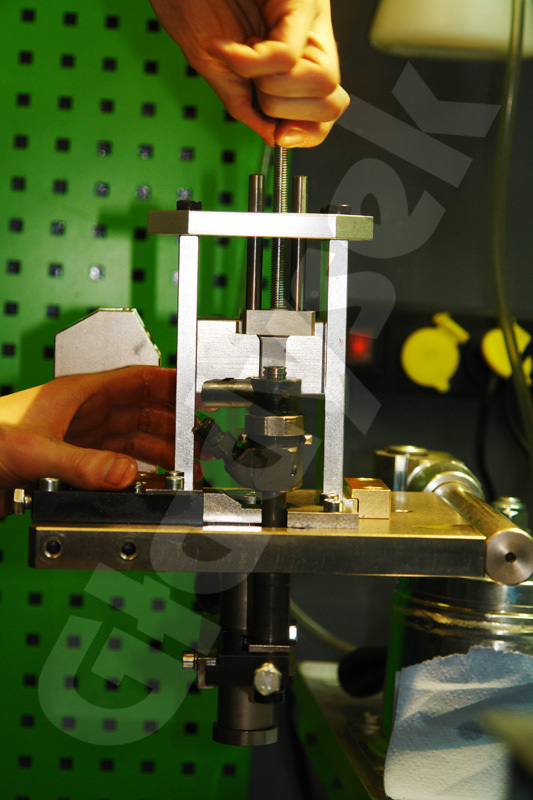 The test involves assessing the electrical parameters of both coils, the injection dose test at different loads, including the high pressure generated by the injector itself, as well as the opening pressure and injection delay in relation to the drive. 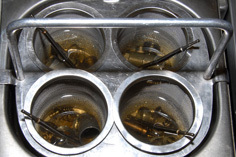 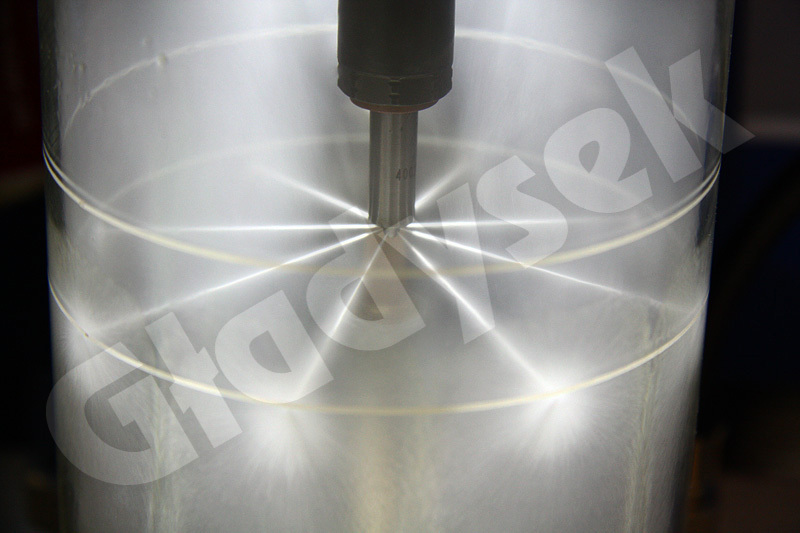 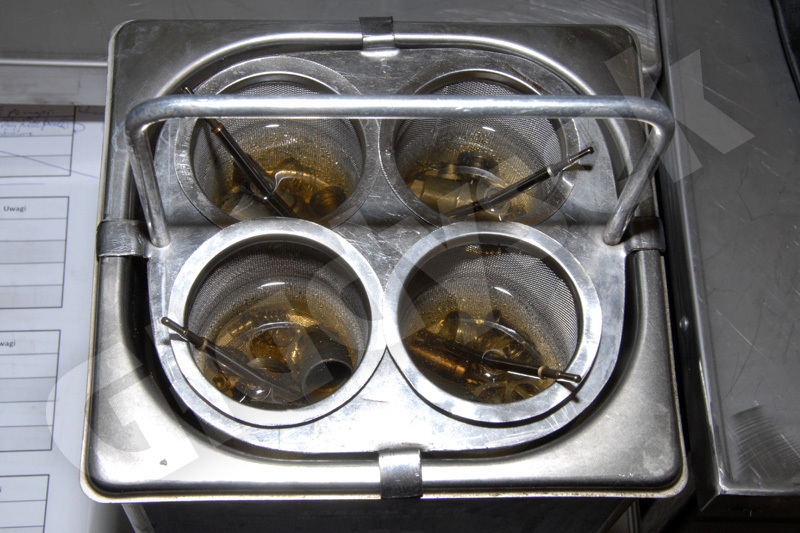 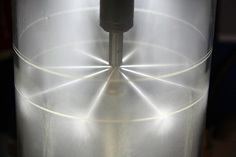 As part of the service, we also clean the injector with chemical detergent under high pressure. 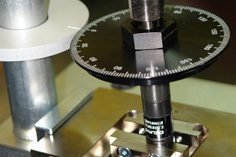 We provide a detailed report for each test.